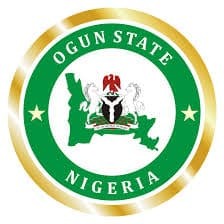 Ogun state is quite an interesting state. 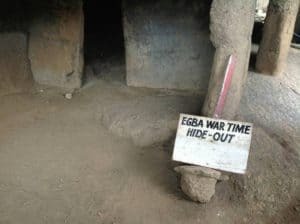 It is a historical place in Nigeria because it is the genesis of journalism profession which started with the birth of ‘Iwe Iroyin fun awon Egba ati Yoruba’ in 1859 in Abeokuta by Henry Townsend. 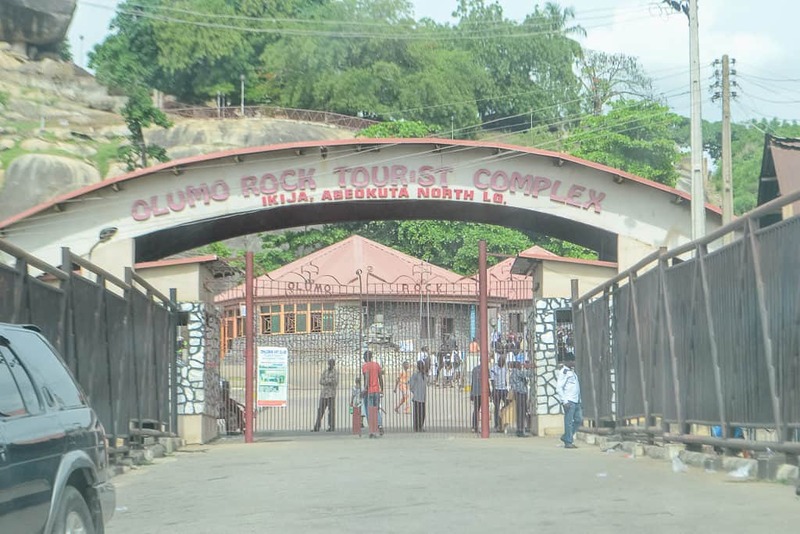 Did you know that this state also has the highest number of registered (private) universities and higher institutions in Nigeria? 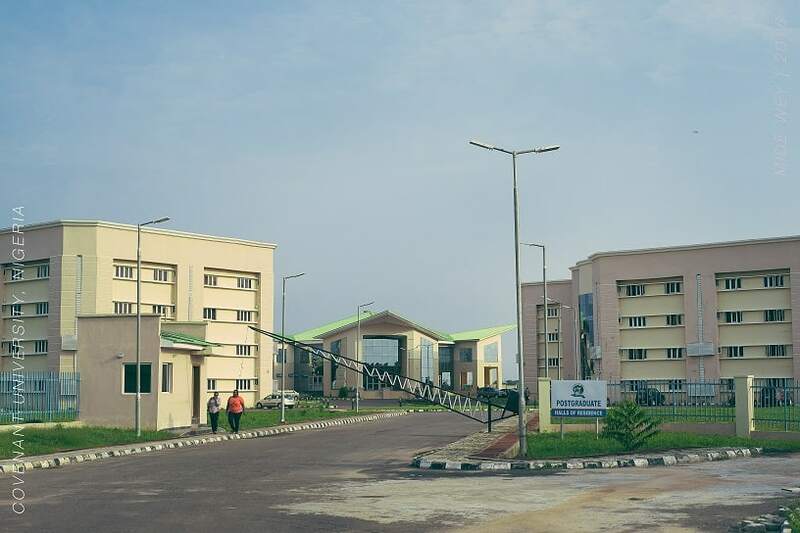 The state is also notable for having a high concentration of industrial estates and being a major manufacturing hub in Nigeria. 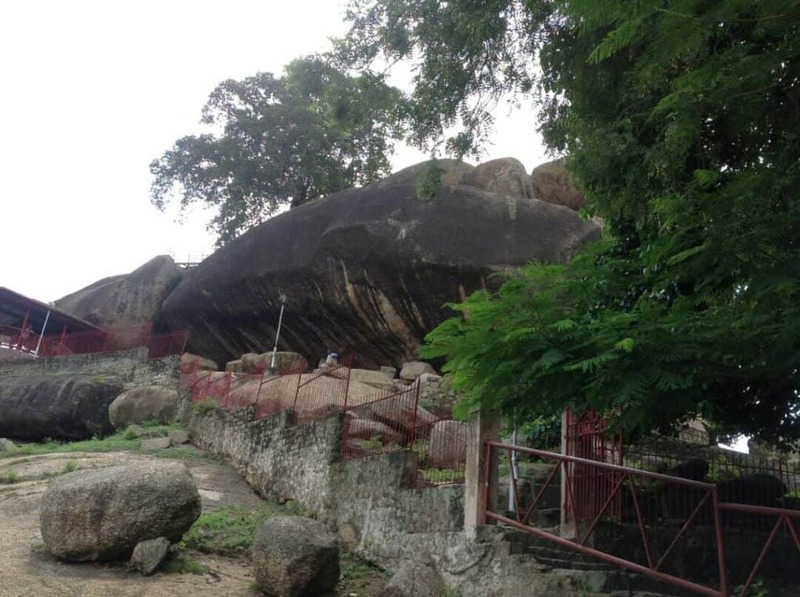 The State has several tourist attractions (like the Abeokuta Museum, Centenary Hall,Omo Forestry Reserve, etc), but due to my School set up, I was only able to visit one of them- the famous Olumo Rock. 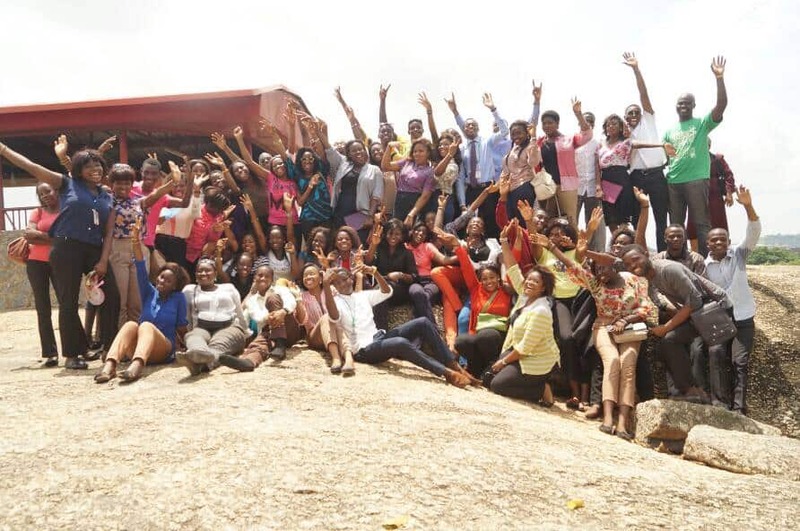 Sometime in my 1st year, I was there on an excursion with my course mates back in school (Covenant University, Ota). 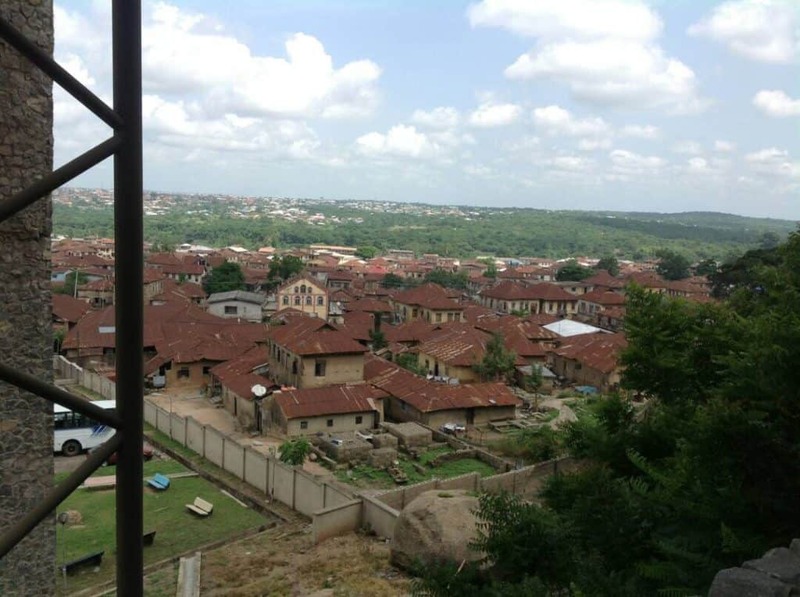 It is worthy of note that Ota is described as as the commercial centre of the state because of its proximity with Lagos State. The journey took about 100 minutes, all the way from school. Before going in through the entrance (image above) we were required to pay a gate fee but, it was sorted out by our school personnel who accompanied us. 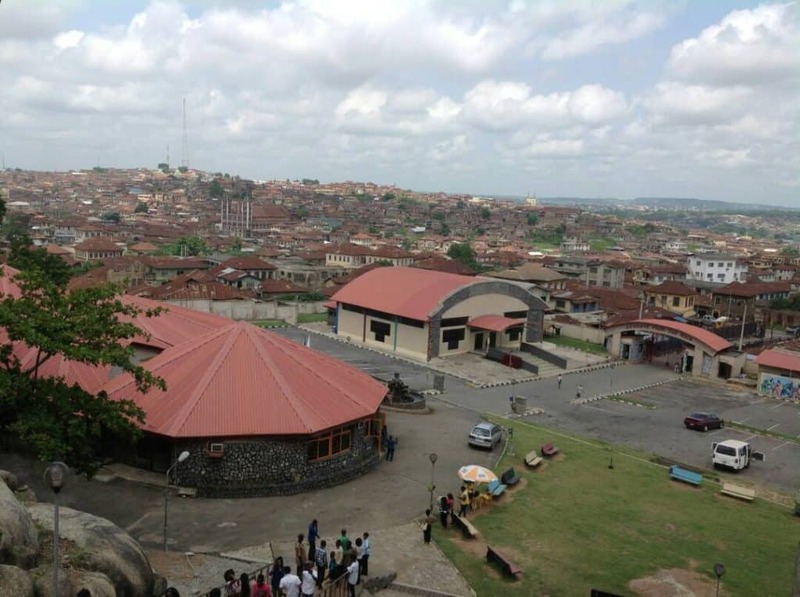 At Olumo rock there are Art Galleries, art shops and a restaurant. 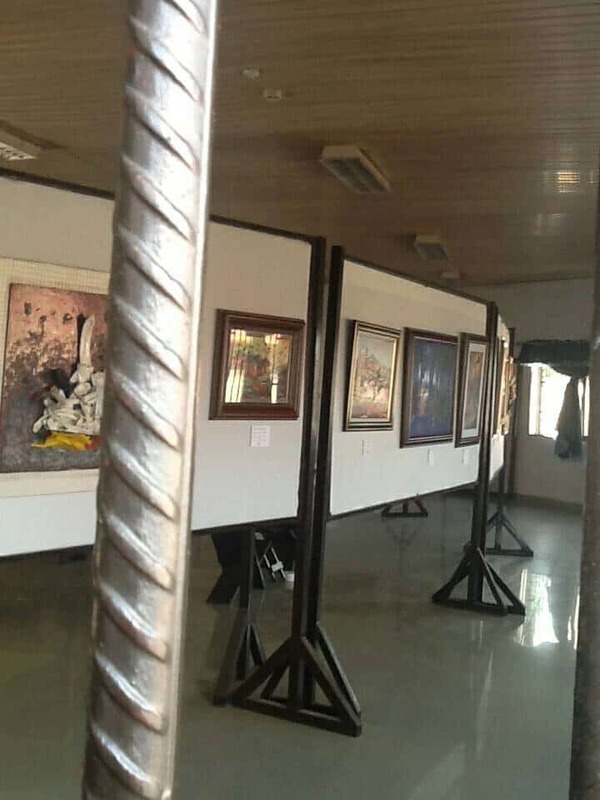 -View of an Art Gallery. We met with some of the tour guides, who then showed us places at the Rock. 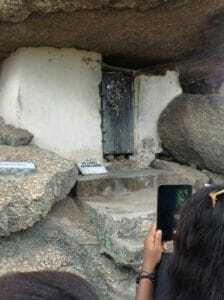 We were shown the Olumo main Shrine, The Egba war time hide out and some other significant places around the rock. 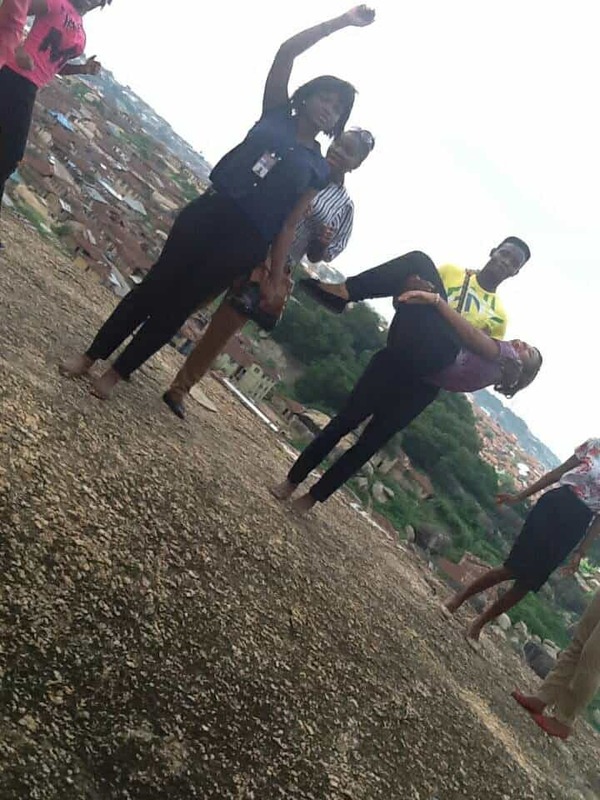 After climbing up I made it up to the top..
-See how I was carried like a baby. 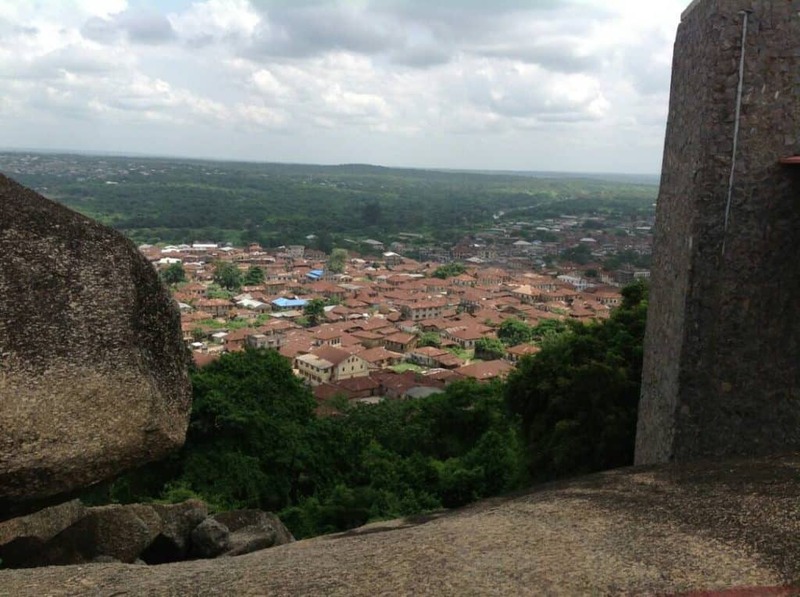 It was quite an adventurous day; We left Olumo rock, stopped to get food in Abeokuta town and headed back to school. 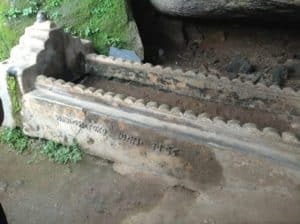 Writing this post makes me miss my Amazing course mates. A big shoutout to Covenant University Sociology class of 2016. 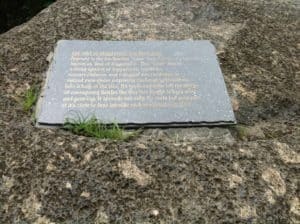 Could this post be fully complete without talking about my ex-university? 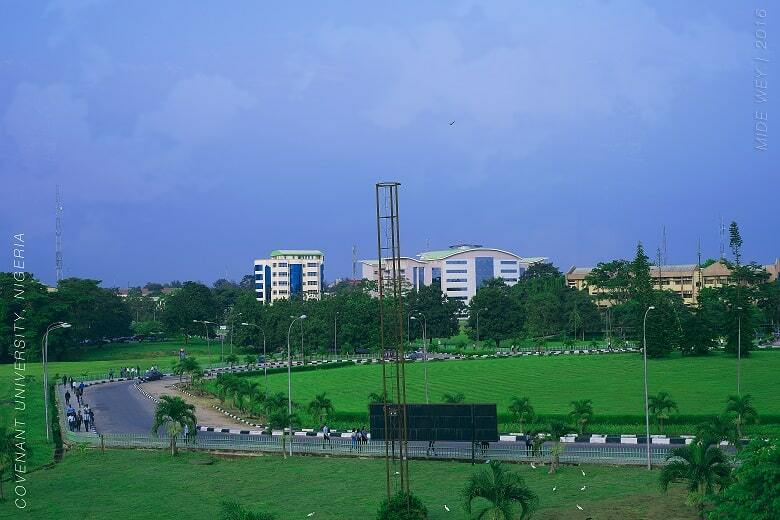 Yeah as much as I am glad that I am done with that phase of my Life; I still miss the serene university environment. 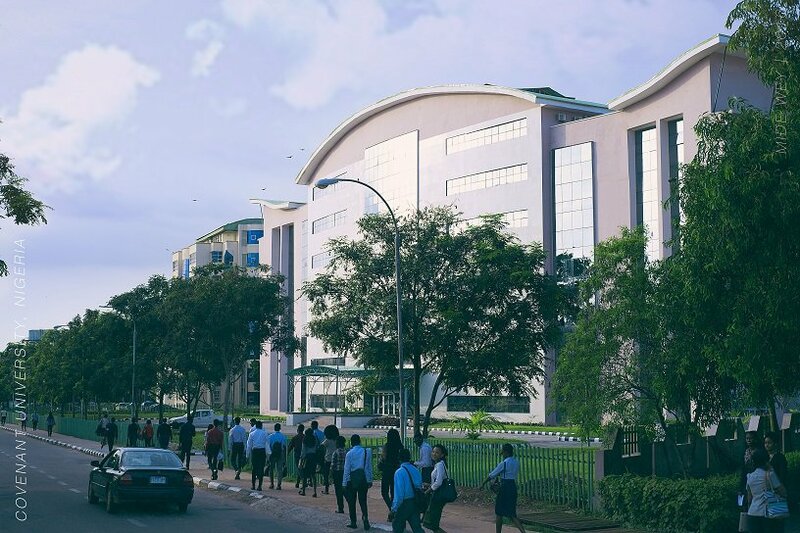 Covenant University is surely a beautiful place to behold. I’d like to do this someday too, well done, welcome back let me know when you want to tour Rivers state. Nice write up, cutie. 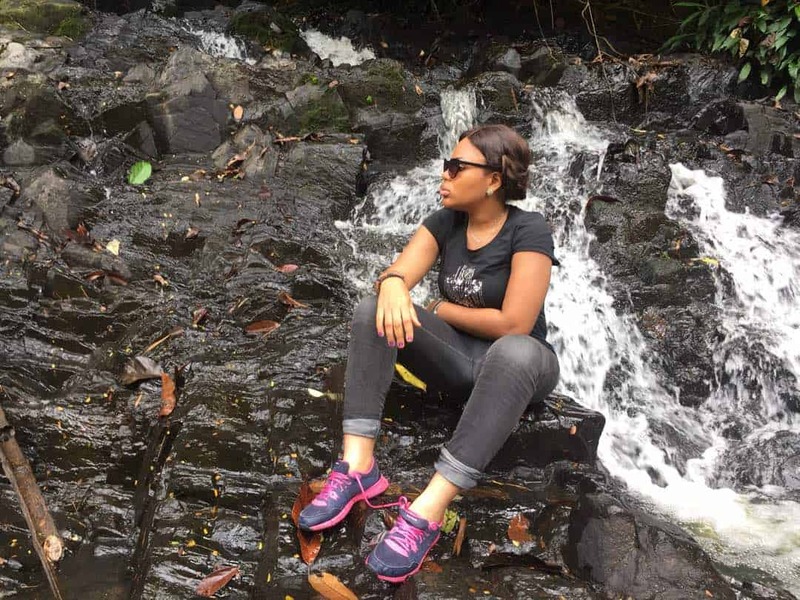 Obudu cattle ranch will be good, I hear nature play’s alot there. Subsequently I will let you know about more lovely location’s. 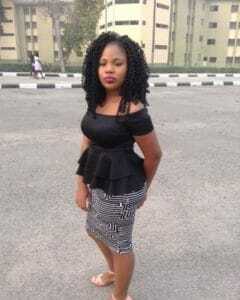 Nice one… keep it up dear, what a lovely site…. Also I know a place u can visit in Enugu*1.New berries park* Obudu ranch in cross river *No where really in akwaibom except the beach then the raffia town in ikotekpene. That’s what I got for now dear. Yaay, we should plan something soon dear. Thanks for the suggestions and your help. I would definitely keep you posted. I wish you success in this endeavour.